In its creation, the built environment is subject to significant Jurisdictional Dynamics that influence the success of a place. The development process—a balancing act between Market Forces and Public Policy/Land Use—works itself out through jurisdictions. Governments and institutions use the tools at their disposal (the carrot and the stick) to influence the ways in which private development and the public realm interface, and the extent to which that interface serves both public and private interests. Ray Bores’ project included a substantial amount of co-working space as an integral component of the overall office building. Developers are increasingly considering shorter lease terms and co-working spaces as a way to attract tenants to unusual properties. Ray Bores sought to predict ebbs and flows in building usage over the course of the day and situate public amenities to make use of off-peak times for office occupation. 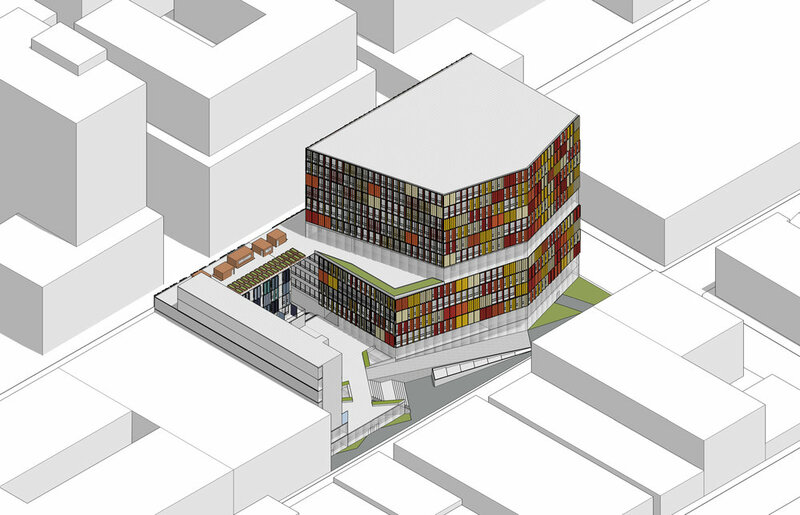 Searching for ways to incorporate living and working on one site, Ina Feijoo-Gomez biased the bulk of her office and public program to one side, allowing for lower density residential to occupy the rest of the site. Moom Janyaprasert sought to give physical place to the concept of a technology transfer, the means by which research is made available to capitalize on by businesses. 1. 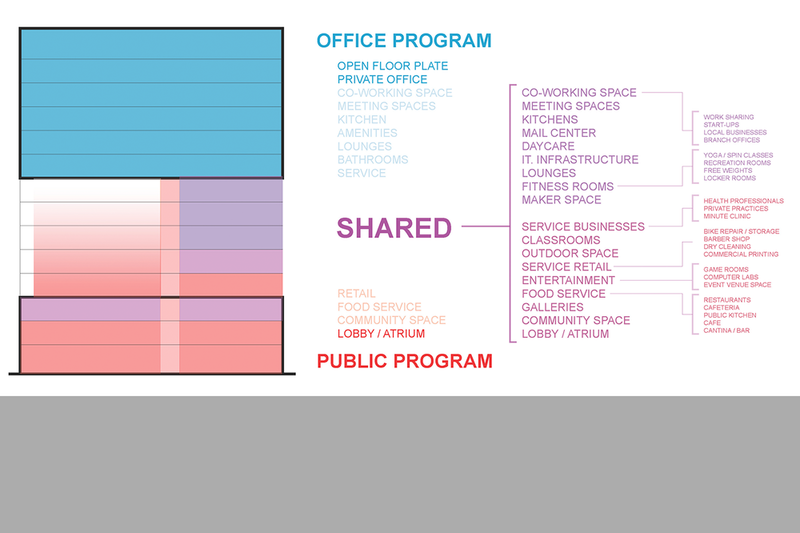 How might jurisdictions influence the deployment of new work and workplace models, like coworking, to the benefit of both commerce and the public realm? 2. What role, if any, should government play in shaping new models like coworking that have the potential to create significant wealth for individuals, companies and cities? 3. How do emerging networks or platforms impact demand for existing ones, like transportation? 4. What concerns exist over the impacts public-private partnerships have on the public realm? 5. Are there benefits to public-private partnerships which are currently being overlooked? Is there more to gain from this model? 6. How much influence can design guidelines and land use policies have upon creating a Public Mesh? 7. Is a more vibrant public realm in the suburbs a realistic goal without first hitting the reset button on affordable housing and transit? 8. What is the right level of involvement for jurisdictions in regulating the built environment?